Front row left to right: Belle DeVault, Zalee Caulder, Demi Blackmon, Aubrey Blackmon, Murray Taylor, Gabby Strickland. Back row left to right: Darby Waund, Celeste Sullivan, Mary Elwyne Kennedy, Savannah Hutto, Abby Stevens, Alex McAllister. Not pictured: Coker Cutler, Jessi Gregory, Maggie Knotts, Savannah Palm, Riley Terrell. 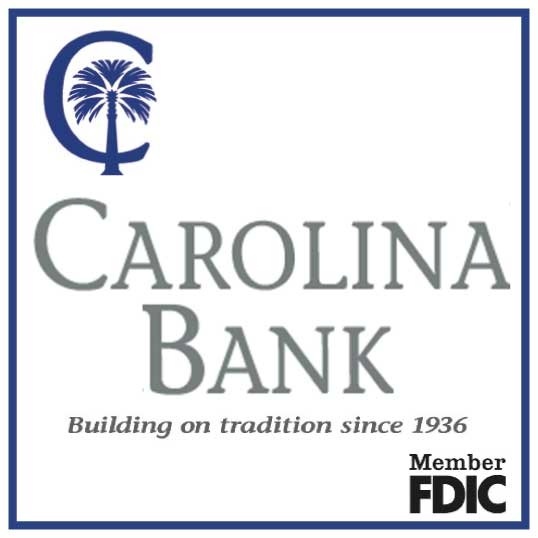 Rembert–The 2nd Annual Palmetto Pony Club Stick Horse Races were held at The Carolina Cup at Springdale Race Course on Saturday, March 30th. It was a beautiful day for fast horses, beautiful dresses and unique hats. 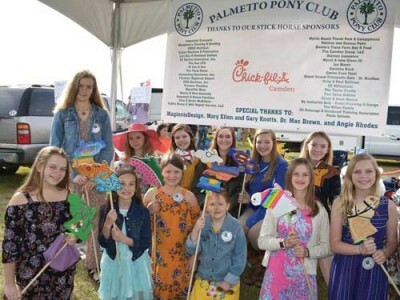 The Palmetto Pony Club members and parents worked diligently to provide a fun, family activity for those attending The Cup. The stick horses available for purchase were one of a kind, hand crafted artistic creations and there was a tremendous selection of raffle items available. The post time for the races was 3 p.m. There were six races for children and adults. Ribbons were presented first through sixth place. Thanks to the help of our pony club supporters, our event was a huge success! All proceeds benefit the Palmetto Pony Club equine educational programs. The United States Pony Clubs, Inc. (Pony Club) was founded in 1954 as a nonprofit national organization to teach riding and horsemanship through a formal educational program. Many of the nation’s top equestrians, including many of our Olympic team members and many business professionals, government leaders and career military officers, have roots in Pony Club. Youth members range in age from as young as four through age 25, and in the last decade, Pony Club has strengthened programming to meet the needs of equestrians of all ages. There are approximately 10,000 members in 600 clubs and riding centers in 43 regions throughout the country www.ponyclub.org.